First was former President Obasanjo’s letter asking PMB not to contest in 2019 citing many reasons why he has to leave the exalted office. 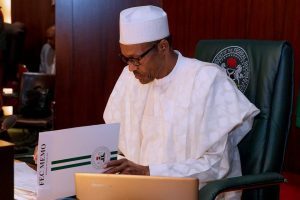 It was quickly followed by another letter from former dictator Ibrahim Babangida asking PMB to step aside In 2019 for a younger president. This was followed by the hate and weeping from the losers of 2015 elections who are yet to come to terms with the situations they found themselves since the feeding bottles were forcefully taken away from their rapacious greedy mouths. 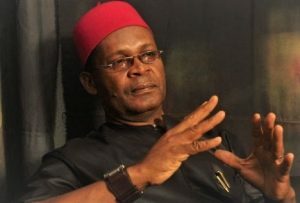 It was quickly followed by the cries from those who for years had been stealing our crude oil, selling it and pocketing the dollars, those who stole billions of Pension Funds and Salaries of workers, those who stole trillions of Naira in the name of subsidy, those who stole the federal Government to bones with thousands of fictitious accounts, the banks who raked billions every month as charges, those who stole billions of dollars meant for the purchase of arms to fight insurgents. What of those in JAMB office, FIRS, NIMASA, CUSTOMS who stole billions meant for government coffers? They are not left out in the era of pains and tears. What about the experts in Budget padding found in the National Assembly? They are still weeping and gnashing their teeth. Then followed another gnashing of teeth and weeping from the importers of rice from Thailand that cost the country more than 3 billion dollars every year? What about the tragic stories and tales of woes from those whose ill-gotten houses, hard currencies, and cars were confiscated by EFCC? They wished and still wish that PMB must die. Even those found to have stolen billions from the coffers of the Police, Army, Navy, Air Force had to cough out and vomit the money and they are not left out in the weeping contest. Even those found in the media (both electronic and print) who got billions of stolen money to help sell rotten eggs in 2015 are still crying without consolation for years now.They sobbed and sobbed and are still sobbing today with no end in sight. What about the billions confiscated from the coffers of the former first lady? The woman and her followers have been weeping and cursing the day PMB was born. What about the religious leaders who got billions from GEJ in the days of the locust? Oh, they are weeping without control and wish that PMB will die immediately. How come all those who are being accused of stealing money are now feigning sickness? What went wrong? I can go on and on but there is no need to continue to do so. You cannot continue to box a man lying prostrate on the ground who has no strength to fight back. Now, their biggest pain is that PMB is doing what they failed to do in 16 years. PMB is building massive infrastructure across Nigeria. PMB has been growing our internal revenue which is now overtaking crude oil revenue, the first in 45 years. PMB has brought about the unprecedented revolution in Agriculture in Nigeria and has particularly reduced Rice importation by 60% and employing millions. PMB has added serious values to Power generation (7000+ MW), the highest so far. PMB has given corruption a bloody nose and no Nigerian head of state living or dead has matched his record. PMB has grown the Nigerian Stock Exchange volume of business to 15.75 trillion naira, the highest so far. In their own very eyes, PMB is now the Anti-Corruption Champion in Africa. This is the principal reason the idiots want him out. They cannot withstand another four years. They may all die. Cheap money is no longer flowing. Looted money is no longer available. They talk about National security, the herdsmen and the killings in Benue, Tarawa, Adamawa. I have been seeing cattle rearers since I was young. Because PMB is a Fulani, the bigots think he is arming them to kill other Nigerians and Islamize them. Yeye people all! PMB’s case is very different. He had a mission and vision of what he wants to do and he is doing it. The gang up cannot fly and it will not work.A friend once educated me on the meaning of stupid. He says it is knowing the truth, seeing the truth but still believing lies. Being honest may not fetch you many friends but it will fetch you the right ones. PMB friends and committed followers are the ordinary Nigerians who fight for him even with empty stomachs because they believe he is fighting for them. They can feel it, they see it and they know the man is not corrupt. I am told that the loudest person in the room is not always the strongest. OBJ and IBB’s letter may not fly this time because PMB’s case is different. PMB is doing what OBJ and IBB did not do. IBB corrupted our democracy and democratized corruption. Former President Obasanjo wasted eight years of South West presidency and even wanted a third term. He could not find the killers of Bola Ige, Harry Marshall, Ogbonnaya Uche, Dikibo, Funsho Williams, Daramola etc. Those who destroyed our yesterday cannot be the ones that will control tomorrow’s potentials. This is why PMB’s case is different. Previous article Berlusconi’s manifesto is to deport Nigerians, other immigrants. 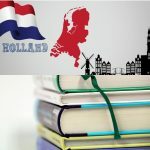 Next article In The Netherlands, you get much more than a degree. 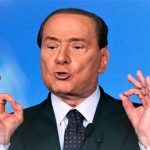 Berlusconi’s manifesto is to deport Nigerians, other immigrants. In The Netherlands, you get much more than a degree.